The kingdom of Belgium Wednesday announced allocation of $23 million for the UN Relief and Work Agency for Palestinians (UNRWA) one day after the US announced it was cutting $65 million off its $125 million annual contribution. Deputy Prime Minister Alexander De Croo said the assistance will be disbursed immediately to UNRWA following global fund raising called by the head of the UN agency, Pierre Krähenbühl. The money represents the EU member’s three-year contribution. The US is the largest contributor of the multilateral UN organization. It disbursed $355 million and a similar sum was scheduled before it was reduced by President Trump who expressed his frustration over Palestinians’ refusal to embrace his proposed peace plan, which axes Jerusalem that he declared capital of Israel. 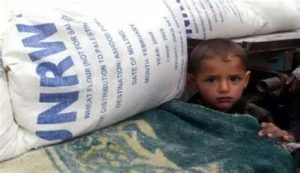 Established in 1950, the UNRWA, criticized by Israel, provides social service, education and health to millions of Palestinians in Gaza, West Bank and to those spread across the Middle East, mainly in Jordan and Syria. For De Croo, UNRWA is the last ‘life buoy’ for lot of Palestinian refugees. Krähenbühl is expecting other donors.